It's that time of the year already - Christmas is around the corner, and do you have any idea to celebrate for this year yet? 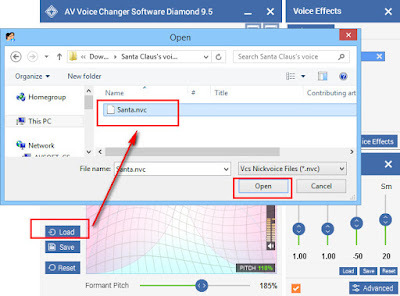 A Santa voice changer may be your best Christmas idea this year. Instead of the normal decorations, food or traditional customs, this will probably one of the best secret Santa gifts to your friends and family - a call from Santa. No need for a soundboard, you can talk like Santa, make some Santa voice-over, speak with friends in real time or tell a Christmas story in Santa voice, just to name a few Christmas activities. You know what? I really think that anyone can bring happiness to those children with one of the best secret Santa gifts - a call, a message from Santa. Isn't it the best to an online Santa, call the kids in Santa voice, with holiday sounds and a costume using Skype, Facebook, Google Hangouts or any Internet calling program? 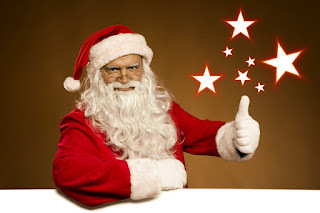 In this post, you will know how to make your voice sound like exactly Santa with FREE Santa voice preset, extremely easy. Anyone who listens to this will absolutely feel merry, light-hearted and enjoy the holy night with a bright smile. 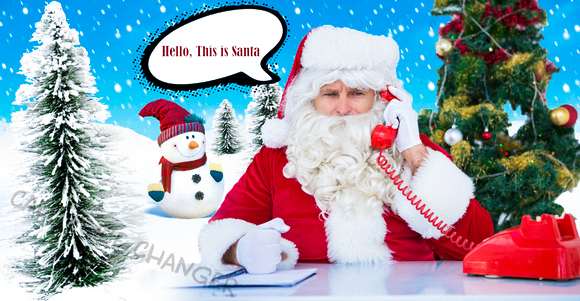 You can even make someone laugh with the funniest idea for a Christmas prank call. Call your little members of the family: "Have you been good this year?" We all know that Mr Christmas always brings joy and happiness to all the people in the world, especially the children. They try to be good, put wishes to Santa and leave the sock at the Christmas tree in hope of a gift after a good night sleep. But the world is changing, the fun and excitement does not only exist in reality but also in the digital Internet, cyberspace. Forget about Santa Tracker, because we are talking about Santa Voice Changer - make your own version of a funny Christmas. You can do so much with this software. 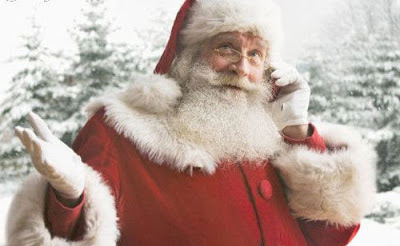 Do not worry if you don't know how to use it, I will tell you the secret to the best voice imitation of Santa right here. 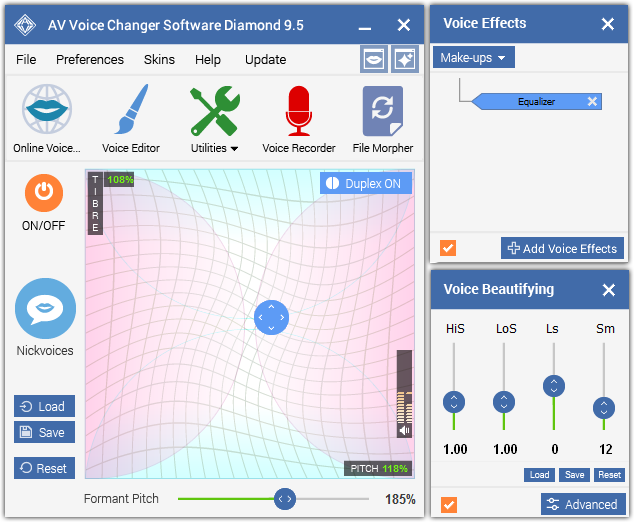 - If you don't have the Voice Changer Software Diamond yet, then freely download here. 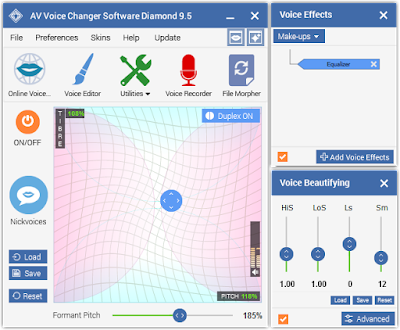 - After installing and opening the main panel, you will the options to change your voice. It looks complicated at first, right? DO NOT PANIC, you actually don't need to understand all of them. Take a look at step 2, and you will utter the magic word "wow, so easy". - Remember the Santa Claus's voice you downloaded before? Now, it's time to open your way to the best Santa call. - Click on Load. The Open dialog box will appear. You got the voice. Here is how you make the Santa call to your friends and family. 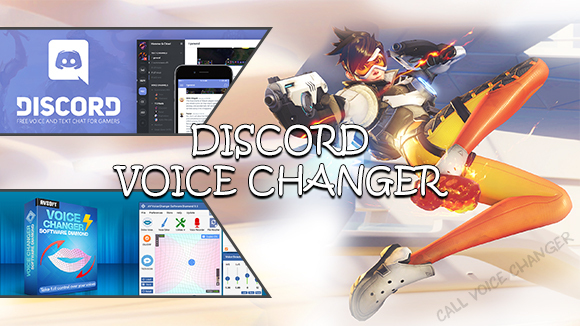 - This voice changer can connect with most of VoIP programs from Skype, Viber, Facebook chat, Google Hangouts, Teamspeak to Curse and many more. - Visit How to connect Voice Changer to Instant Messengers & VoIP Apps, you will get the step-by-step tutorials to connect voice changer to each program. - Even if you want to have more voices than just a voice of Santa, there are hundreds of options for you to choose. It can also imitate the voices of famous celebrities and perfect for the Best prank call Voice Changer with celebrity voices. You can absolutely sound like Obama, Organ Freeman, Darth Vader to Chipmunk and many other famous voices. - Did you know? Voice Changer can also disguise your voice while making iPhone calls. And yes, is this enough for the best Santa call? I believe so, It can even change your voice in actual phone call, which can not be done by many other apps, how cool is that? Moreover, you will have hundreds of other voices to choose to refresh the Christmas spirit beside Santa's voice.